6 June / The public planning competition for the Katlamaja Quarter was won by the entry with the keyword ‘Lõpused’. The authors of the winning work were Ott Alver, Alvin Järving, Mari Rass, Sander Paling and Heleriin Vaher from OÜ Arhitekt Must. According to City Architect Tõnis Arjus, the winning work is a comprehensive solution that has been thought out in detail, which will hopefully reach realisation as quickly as possible. 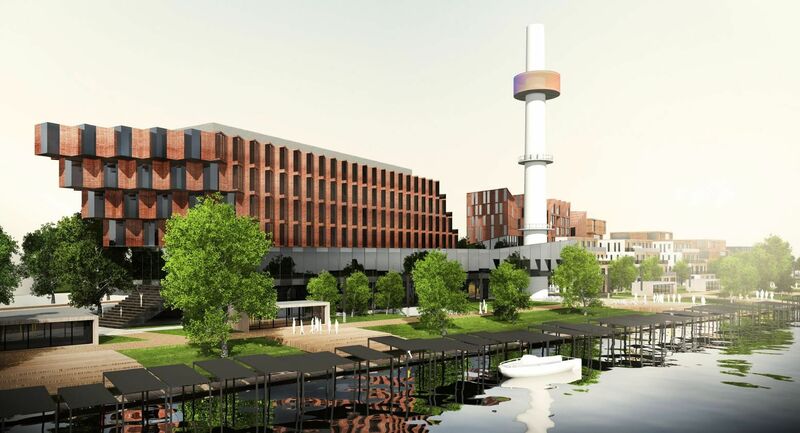 ‘A new state has been created with the work, with multiple openings and a view of the river to take the place of the current long wall of the boiler plant, plus the connection with Karlova and the riverside will grow,' added Arjus. ‘Second place was awarded to the work with the keyword ‘Micro-Macro' (Kauss Arhitektuur OÜ) and third place to ‘Hourglass’ (OÜ AB Ansambel). The Katlamaja Quarter is located in the immediate vicinity of the City Centre of Tartu, in the area located between Turu tn, Väike-Turu tn and the River Emajõgi, on an area of approx. 3.5 hectares. At the beginning of the year, Giga Investeeringud OÜ, in cooperation with the Tartu City Government, announced a detailed planning solution idea competition, in order to find the best possible urban development solution for the quarter.